Home - 2016 - Forbes: Netflix Is Coming To More Hotel Rooms: Can This Boost The Company’s Revenues? Recently Netflix announced a partnership with hospitality company Enseo to provide the Netflix app in more hotels. Under this agreement, guests staying in hotels with devices powered by Enseo can watch Netflix content either by using their existing Netflix account or signing up for a new one. Enseo’s systems are available in 300 hotels in the U.S. and the company says that it has more than doubled its revenue every six months for the last two years. 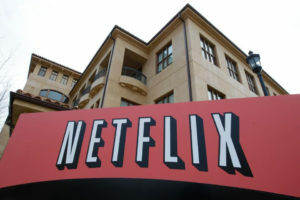 We believe Netflix’s expansion in the hospitality segment ensures that its loyal customers can watch its content more conveniently on a full screen TV, avoiding Wi-Fi constraints and small screen laptops when travelling. Easy availability of its content while traveling can also attract new consumers who can try the service while on vacation and convert into regular subscribers later.